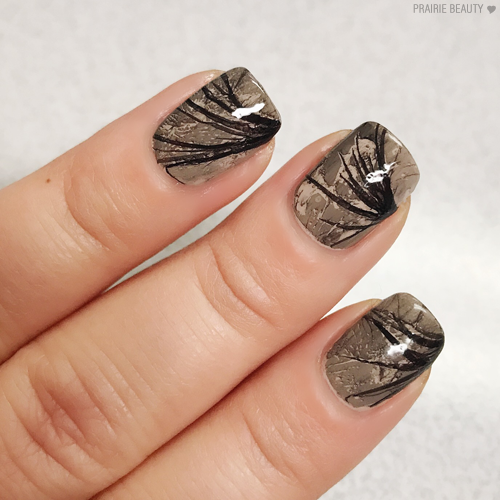 For the past month or so, I've been looking at nails online that use a the Veil Technique, which I believe was created by Perfect 10 Custom Nails to create these beautiful, delicate looking petals or veils on the nails and I've really, really wanted to try it. So I did! Here's what I learned... After hours of trying to make it work, it is still very much beyond my skill level and I will have to keep trying to get them to look the way they do online. However, I also accidentally figured out how to do this manicure that I'm showing you guys today, which I'm calling my Accidental Veil Marble Nails. Keep reading to check it out! I wish I could say that this happened on purpose, but it really, really didn't. To get this look, I started with two coats of essie Treat Love & Color in Good Lighting as a base. Next, I placed one drop of Sally Hansen Insta-Dri in Back To Black into a cup of water and let it spread, blowing on it to get it to dry. Next, I used a Q-Tip to push one side of the polish inwards so that I basically ended up with two fan-type shapes. Slipping my fingertip underneath the water, I lifted to transfer one side of the polish onto the nail so that one of the fans was looked like it was coming out from the edge of my nail but a thin layer of polish covered my entire nail. Here's where the accident happened when I first tried this on my middle finger. 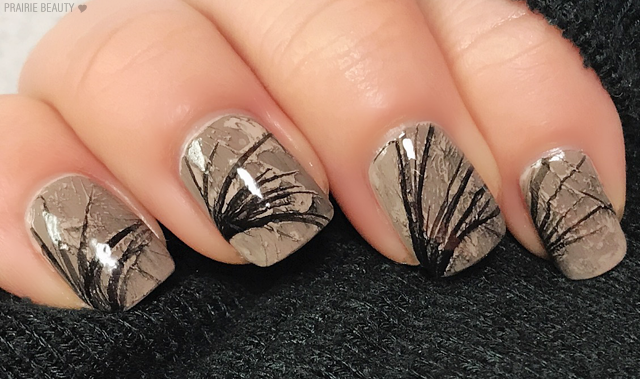 I didn't wait long enough after I had done the veil technique to apply my top coat, so when I went in with my CND Vinylux Weekly Top Coat, it started to break up the thinner parts of the polish, particularly around where the polish was thicker, creating this sort of marble effect. I was easily able to recreate this on the rest of my fingers, simply going in with my top coat almost immediately after pulling my finger out of the water and cleaning up my edges. As you can see, my nails really look nothing like the ones I linked above using the Veil Technique, but I actually kind of really love how they turned out anyway. If I do it again, I suspect I won't use such a beige base colour, because these did end up looking a little bit grungy to me. I feel like starting with a white base and going in with a black or jewel toned colour for the art would end up looking a little bit fresher. Still, I really think it's a cool looking technique and I'm really glad that I accidentally stumbled onto it. 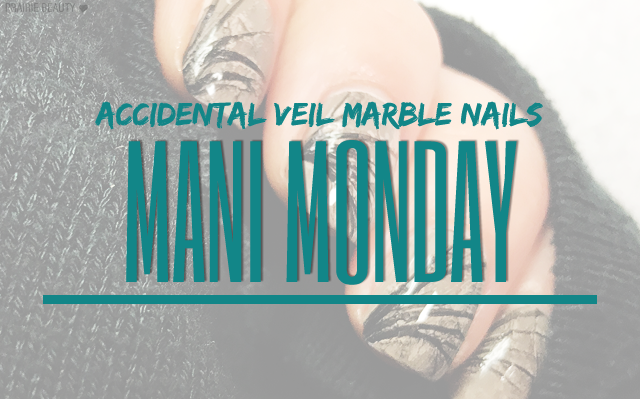 Have you ever messed up a mani but really liked the results in the end anyway? Let me know in the comments!